To request a private tour for 8 or more, click here. Chocolate has never been better. 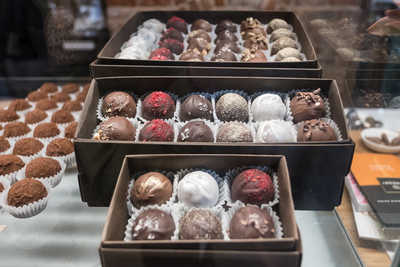 Perth is home to some amazing chocolatiers. 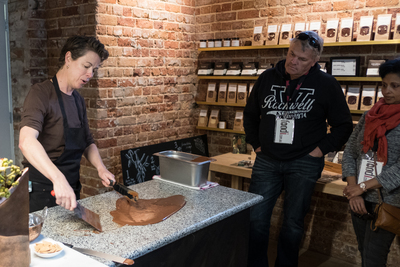 Whether you’re a visitor to the city, currently hosting visitors, or simply looking for something to do on the weekend, this three-hour tour of Perth’s best chocolatiers is a fun, exciting and delicious event to put on your to-do list. 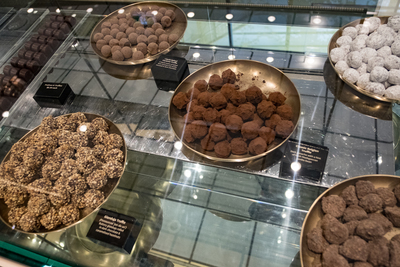 This tour is a chance to discover some of these chocolatiers and gain insight into their craft. 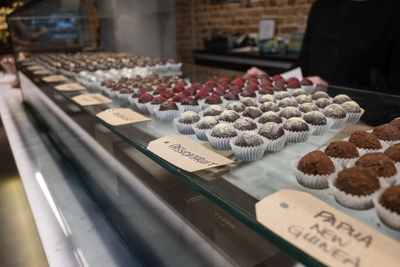 You’ll learn about how chocolate is produced, from a bean on the cacao tree through to the hands of the chocolate makers; and the terminology used by industry experts to describe the taste, smell, and forms of chocolate. 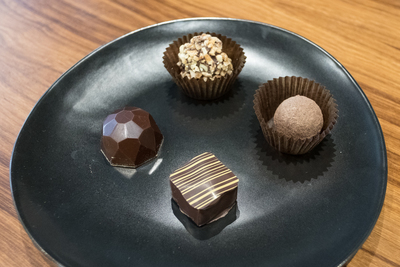 You’ll be able to sample the chocolates at each venue you visit, where you will also learn the elements of a proper chocolate tasting; the different cacao percentages, and how they affect the taste. Discounts on purchases are also available at a number of the venues. 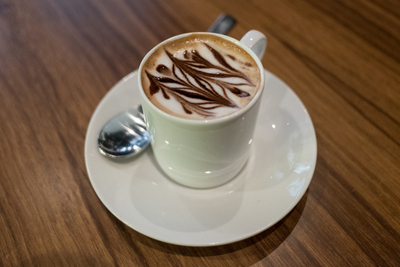 You will visit a number of venues around the city, with a break in between. There will be some walking involved on the day, so please wear comfortable shoes and bring an umbrella if the weather calls for it. The tour price includes the sit-down break, and all chocolate tastings on the day. This tour cannot accommodate vegan dietary and is not gluten or dairy free. If you’re looking for a few hours of fun on the weekend, to meet new people, and discover new things about your city, Foodi tours will show you where to start. Refund Policy: Full refunds given with 5 days notice. Dates can be changed with 3 days notice. Terms and Conditions: Please be advised that although we make every effort to ensure that we accurately represent Foodi's service and products, venues are subject to availability, and we reserve the right to make changes to all samples on tours. Foodi require a minimum of 4 people for the tour to successfully proceed. Great tour - thoroughly enjoyed it. The first visit to see how chocolate is made and tempered was exceptional. A great day getting to know your city whilst tasting chocolate delights. Chocolate was the highlight of the tour, very informative and generous! Keren was very friendly and a good guide. Relaxed and informative. Cocolat was by far the most attentive venue. Great guide, very knowledgeable and fun. Good venues . Possibly would like to visit more intimate stores as well but understand it’s the holidays. I was given my voucher as a birthday gift. My friends know me well, as a lover of chocolate they couldn't have picked a better gift. Started off at Lindt,what a selection to taste,heaven. Ended tour at Koko Black. OMG what can one say. 41 degree day but that didn't matter. So much chocolate to sample who noticed. Rebecca was such a knowledgeable guide. The first location was excellent. I liked that the tour guides gave information about some areas of the city as we were walking past. The tour was fantastic and Steph was full of bits of history that I wasn't even aware of in my own town! 10/10 for Steph!! I found the historical info quite interesting and the tour guide very enthusiastic. Great event - Keren was very knowledgeable and enthusiastic. Loved the demonstration by Sue Lewis. It was educations and informative. Definitely the highlight of the tour!! Great! Excellent host. We were with a nice friendly group of people also. Just one more of Foodi 's tours we loved and would recommend. Thank you. Delightful morning. Annie was wonderfully friendly and knowledgeable. Sue Lewis gave a superb, informative and generous demonstration of chocolate making. Who knew there was chocolate tea! Good selection of chocolate stops Delightful tour guide (and her supervisor), very friendly, knowledgeable and enthusiastic. Sue Lewis demo was fantastic. Great morning out, loved the hidden facts about Perth and the time spent learning how to temper chocolate. Anne was a wonderful host and was full of very useful information about the city of Perth. Being a local this was my first tour and learnt so many new and interesting facts, thanks to Anne.